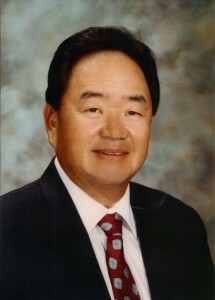 Gordon Ito, founder of the Ito Healthcare Group, saw the need for quality long-term care in the mid-1980s. After a successful career in commercial lending, he decided to shift his life’s work to healthcare, and built Oahu Care Facility in 1986. This was the beginning of the Ito Healthcare Group. Gordon later realized there was a lack of support for Leeward Oahu families. This drove him to open another skilled nursing facility, Pearl City Nursing Home in 1995. In 2001, the company grew again with the addition of Community Case Management Corp. to help families navigate the complexities of coordinating care for their loved ones. After successfully meeting the needs of Hawaii’s seniors, Gordon then turned his attention to serving the needs of children. There was no facility dedicated to serving medically fragile children in Hawaii, and Gordon wanted to provide this valuable resource for the community. His most ambitious project, Kūlana Mālama, Hawaii’s largest facility for medically fragile children, was built in Ewa Beach in 2007, and later welcomed adult ventilator patients. In 2014, he added a new service: Mālama Adult Day Care, adjacent to Oahu Care Facility. It provides a safe, welcoming place for seniors to gather with other seniors during the day to enjoy physical exercise as well as recreational and social activities, so that their family caregivers can have peace of mind while they are at work, knowing their loved ones are in good, capable hands. Despite the company’s growth and success, Gordon always remained grounded and was always touched by the needs of Hawaii’s families. Gordon and his wife June established the Gordon and June Ito Foundation in 2009 to provide annual scholarships for undergraduate nursing students and graduate social work students at local accredited universities. He wanted to make sure tuition costs would not be a barrier to students who wished to pursue their dreams of serving others in their healthcare careers. Gordon passed away on February 3, 2017, at the age of 72, but will always be remembered for his entrepreneurial spirit and strong business acumen, driven by a concern for Hawaii’s families. Those who had the privilege of knowing him will always remember his caring heart, no-nonsense approach to life, candid feedback, and local humor that built the Ito Healthcare Group. His family continues to carry on the business with his son Randall Ito now serving as President of the company.